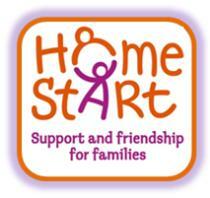 Home-Start Redbridge will recruit, train and support peer volunteers to provide friendship and practical help and support to Service Users in their homes ; and run a weekly, Family Support Group.Home-Start Redbridge believes that children need a happy and secure childhood and that parents play the key role in giving children a good start in life and helping them achieve their full potential. We aim to work in partnership with parents by supporting and encouraging them through the early years of family life. The main aim of the Family Support Group is to provide a welcoming and non-threatening environment where children can play together or to provide play experiences not readily available at home and parents can have a little respite from the demands of their young children. Most important of all, families can enjoy being together. For some parents of children with disabilities this is an opportunity for their child to socialise in a safe and welcoming space. The service is provided to families with children under 5 years old and under 9 years old if they have a disability and resident in Authority. Trained volunteers will provide weekly home visits to families and the Family Support Group shall be held weekly during term-time from 10:00am to 12:00pm.